This improved, new generation of toner which is designed for the HP LaserJet 2300, contains smooth, round shaped particles, which allow for the precise control over the storage of the toner in the printing system. As a result of this and its improved composition, it ensures that the results are sharp and that you received accurate image reproduction on every page. The bulk printing cartridge will last for up to 6000 A4 pages at a 5% coverage. 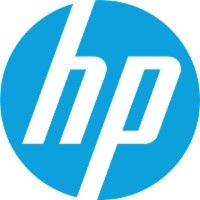 For shipping to other EU countries visit this page HP 10A Q2610A Black. Für Versand nach Deutschland, besuchen Sie bitte HP Q2610A Nr. 10A Black. Chcete doručit zboží do Česka? Prohlédněte si HP Q2610A č. 10A černý. Chcete doručiť tovar na Slovensko? Prezrite si HP Q2610A č. 10A čierny. Magyarországra történő kiszállításért tekintse meg ezt a termékoldalt: HP Q2610A no. 10A fekete.